February 14th is International Book Giving Day, yes I know the 14th is usually about giving chocolates and roses but why not give something that will last a bit longer. It could even be a book about chocolate or roses! International Book Giving Day is a grass routes initiative aimed at getting as many books as possible in to the hands of children. Run on a purely voluntary basis by a team of dedicated children’s book enthusiasts from around the world, International Book Giving Day continues to spread the love of reading on a most auspicious day, whilst highlighting the importance of books for children. There are some great authors and illustrators who get involved each year donating their time and work to the fun cause! 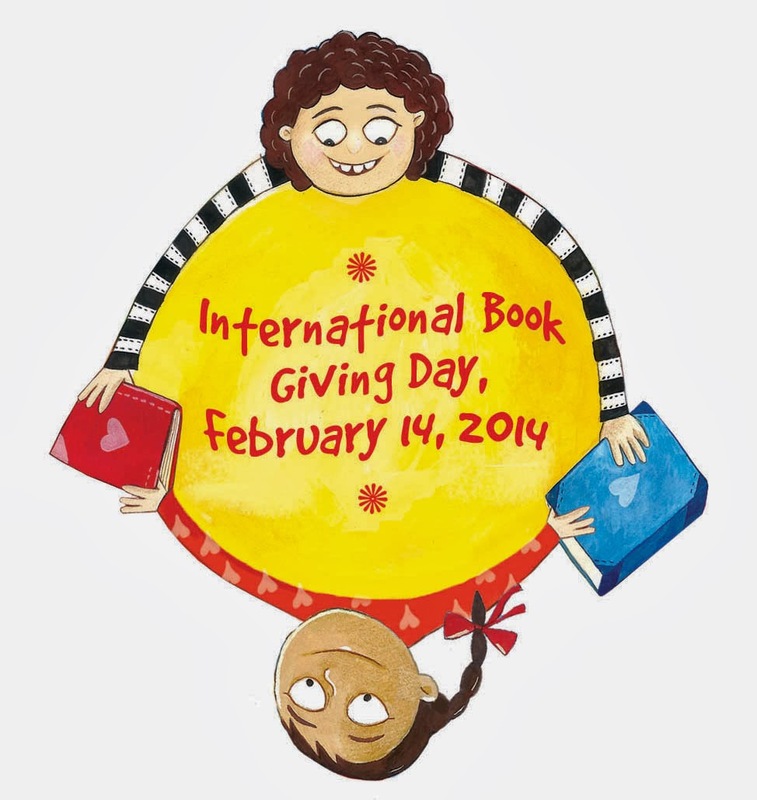 Gift a book to a child who would enjoy receiving a book on February 14th. A perfect alternative to overpriced chocolate and roses ... although chocolates still make a good present! Choose a waiting room where kids are stuck waiting. Purchase a good book, and deposit your book covertly or overtly in your waiting room of choice. Try leaving them in playgrounds with our downloadable bookplates or bookmarks tucked inside! The goal here is to spread the love of reading to kids. Donate books to a school library, children’s hospital, or nonprofit organisation working to ensure that all kids have access to books. A list of some of these organizations can be found on the website. Participants are encouraged to let us know they are participating at http://bookgivingday.com and share your book giving fun on social media using the hashtag #giveabook.